This is the last of my Boxed cards. 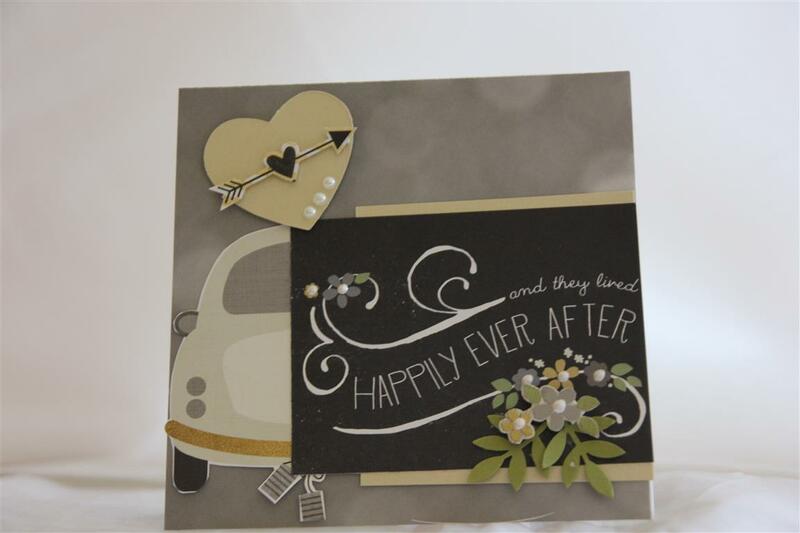 I made the flower spray, added some black accents to tie in with the sentiment which is a collectable from the PS I love you collection from Kaisercraft.Again this is a card that could be used for wedding,engagement,valentines or anniversary. This weekend has been very busy, with very little time in the craft room, but i will be in there this afternoon as I have a class to set up, I am trying to get ahead with them as the cruise is only 2 and 1/2 weeks away and I won’t be crafting then ( teaching, but no crafting! )til tomorrow…. Simple Stories – The story of us, 9 and 10. Graphic 45 Sweet Sentiments number 2.. 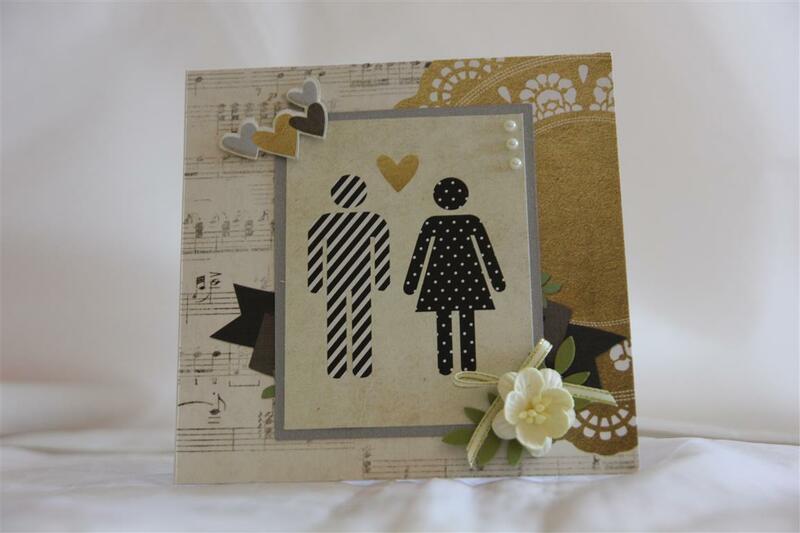 Here is the second card I have made using Graphic 45 sweet sentiments. ( this is the last for now until we photo the Easter cards I made). The bottom layer of this one is actually My Minds Eye paper but it seemed to match so well and it was an odd piece of paper that I had so I used it!. All my layers were inked with Ranger distress ink – Tea Dye, and I added a charm tied with linen thread to the top left hand corner.I have been busy in the craft room this afternoon making up some orders, but I am heading back in there now to play around with some ideas I have.. til tomorrow…. 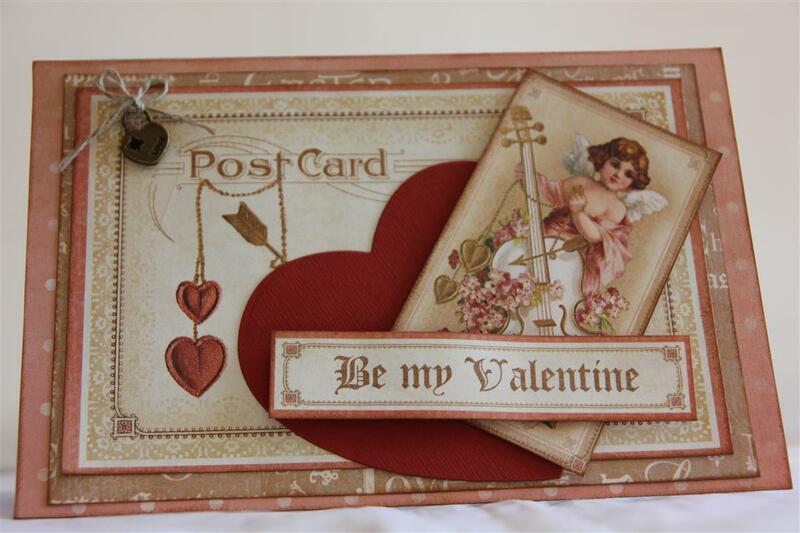 I bought a 12 x 12 pad of Graphic 45 Sweet Sentiments paper, and there are lots of images on this paper for valentines day cards and easter cards. 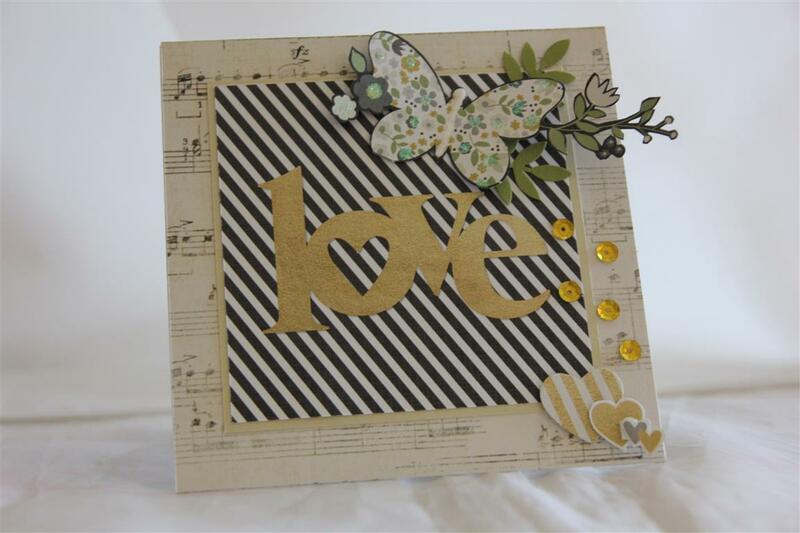 This week I have been making some Easter cards , but previously I made a couple of valentines Day cards – this is the first one.Nothing on this card except for the papers – layered and fussy cut. Some fancy photography by Nathan managed to put an image of the inside of the card on the right hand side of the card front.the layer of paper used on the inside is actually My Minds Eye now that I look closely!That crossover of paper companys very rarely happens in my world! I taught a lovely class of ladies this morning, and I am looking forward to a long weekend of crafting. Til tomorrow…. Here is number 8 in my kaisercraft secret Admirer series. I used the 6″ pad and matching collectables for this one, and I also used the secret Admirer doily stamps in the top right and bottom left corners. 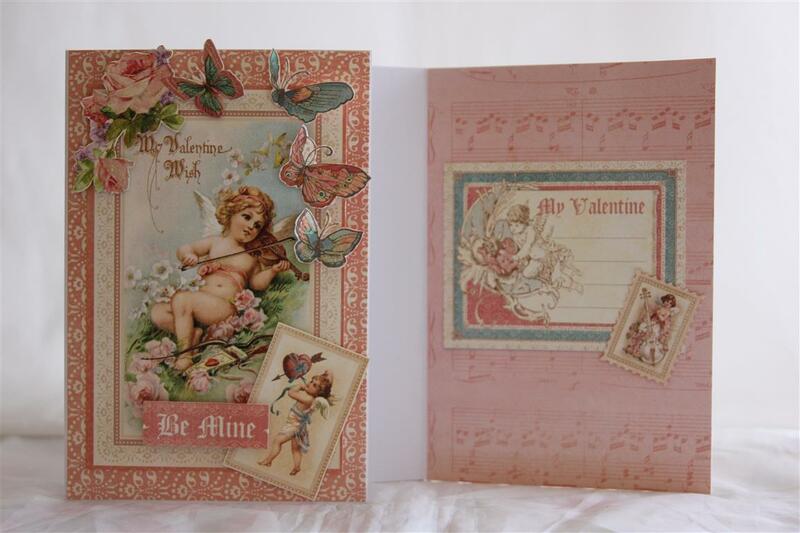 I layered various collectables, and added some bright pink ribbon and kaisercraft rhinestones to finish. 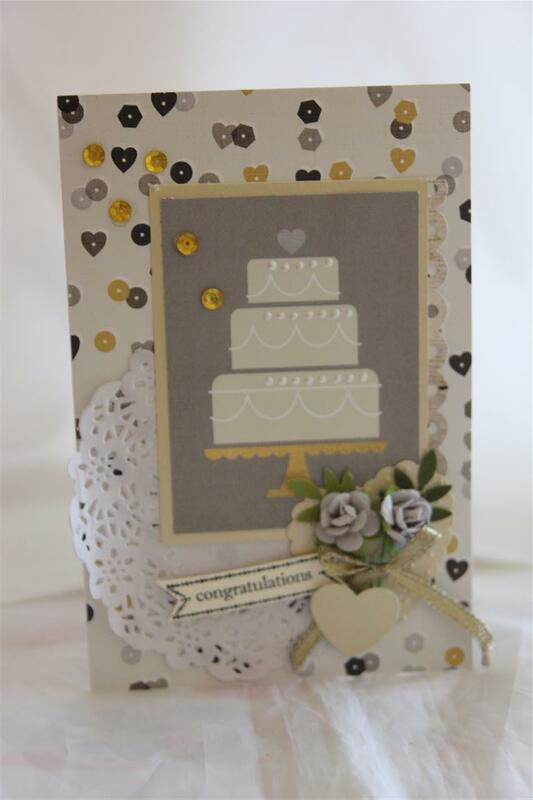 Today Nathan and I have been filming a you tube clip on how I make my card in a box box, which hopefully I will post tomorrow . He has to try and edit out a bit of background noise – normally we have the house to ourselves when we do our clips, but not the case today, and it was a bit noisy – even though they were all told “quiet on the set”!We will see how it turns out – you may have to ignore assorted barking dogs etc.. Til tomorrow….